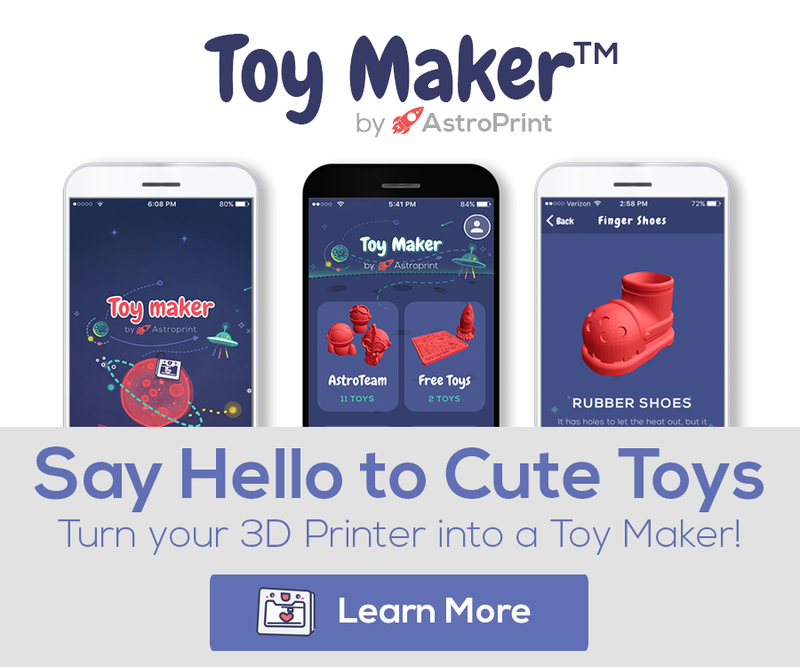 As you may know, AstroPrint is a software platform for the management of 3D Printers (and fleets of 3D printers) used by over 85K people in 130+ countries. 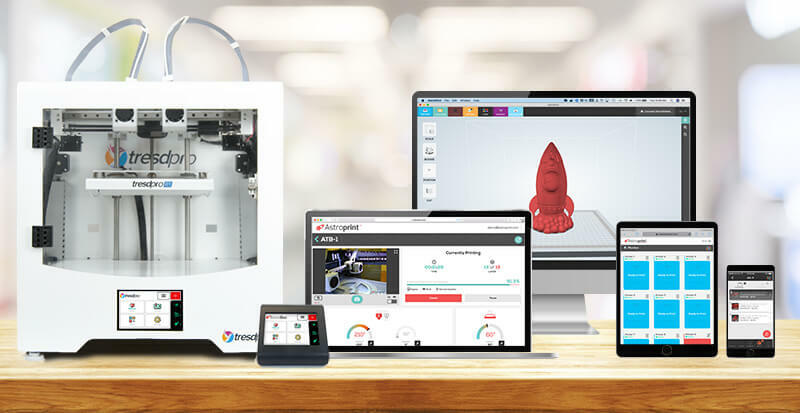 The goal of the platform is to leverage the cloud to simplify the workflow involved in 3D Printing, thereby making 3D Printing much easier to do, for everyone from the hobbyist to the large scale Enterprise. 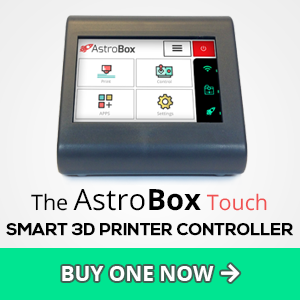 AstroPrint uses the cloud to sync a 3D Printer’s touchscreen with mobile apps, desktop software, and web portals. This allows a user to manage an entire fleet of 3D Printers from any device. For example, a user can upload a design file to their account online, slice the file there, then send it for printing to any/all of their 3D printers wirelessly. Alternatively, after slicing online, they could access that same slice-file directly from the touchscreen of their 3D Printer, as well as their smartphone/tablet. They can even monitor those prints, and collect data on printer performance remotely. Cloud Slicing is integral to this process. Basically, you can’t have effective IoT in the Additive Manufacturing space without Cloud Slicing. 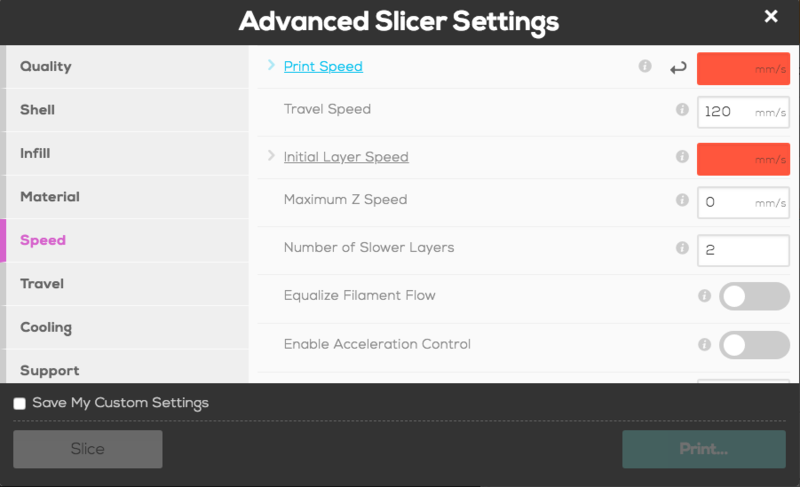 The AstroPrint platform is slicer agnostic, allowing users to choose which slicing engine they wish to use when printing. Currently AstroPrint offers three Open Source slicing engine options: Cura Slicing Engine v3.6.0, Cura Engine 15.04 (the older version of Cura), and Slic3r Prusa Edition. What Cura 3 has done with slicing settings is what we feel the industry will adopt as a standard. Including the way the settings are organized, how settings are calculated from the values of other settings, how the engine validates independent settings by cross referencing with the rest of the settings set, and more. Cura Engine 15.04 (the older version of Cura, which we still support) and Slic3r use simple settings lists with little to no interaction or cross referencing between settings. Cura Slicing Engine v3.6 is a significantly more complex slicing engine, which actually makes the printing process for the end user much easier and more hands off. Basically, it uses a system of highly intelligent algorithms to print so effectively, that the user doesn’t have to know as much about slicer settings to get great prints. If you make a settings change that should require yet another setting to change , the system can adjust the settings for you, saving your print! This saves LOTS of frustration from failed prints. For example, if you change your ‘Retraction Distance’ but did not know you then have to change the ‘Minimum Extrusion Distance Window’ to compensate, Cura Engine v3.6 will fix the settings error for you. 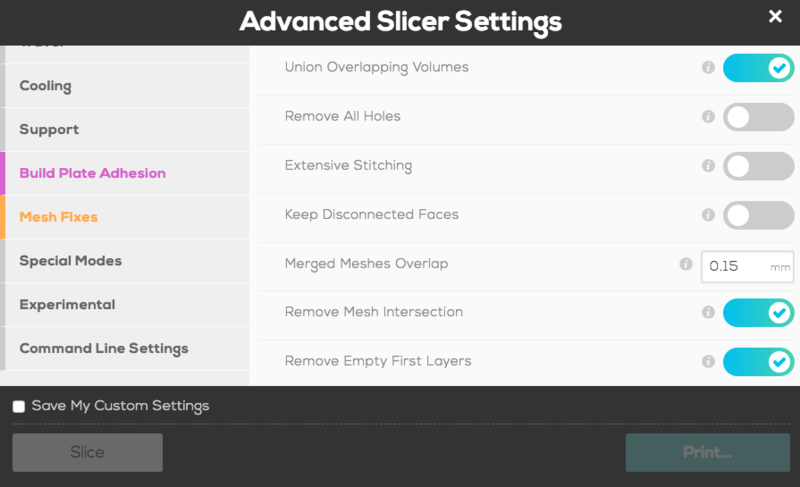 This is fantastic because most 3D Printer owners should not have to know or understand these settings at all. With the algorithms in Cura 3.6, beginners do not really need to understand all these complex settings to get great prints. Draft Shield – This is especially useful for materials that warp easily. This creates a thin wall around the print which keeps hot air in and prevents drafts from causing warpage. Infill support – This will print infill ONLY where it is needed to support the upper layers of the print, thereby cutting down print time dramatically for many prints. New Supports – Easier to remove, faster to print, and reduces plastic waste. Z Seam Type – We’ve probably all printed an object where each new layer started at the exact same X/Y position, resulting in a weird line on the side of the print. These settings prevent that from happening. We’re obviously smitten with this new version of Cura Engine! We’re very excited about what this advanced slicing engine means for the future of the industry. If you have any questions about this integration or the AstroPrint platform, please feel free to reach out.